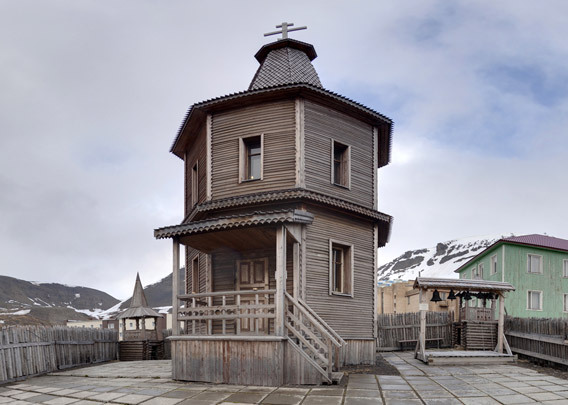 The chapel in Barentsburg was built in 1998 to commemorate the Operafjellet-catastrophe. On August 29, 1996, a Russian airplane crashed into the slopes of Operafjellet due to bad navigation in poor visibility. 141 people were on board – miners, other employees, family members. There were no survivors. The bells may only be rung by ordained persons. But everybody is welcome to visit the chapel respectfully, it is open at any time. It is a chapel and no church. 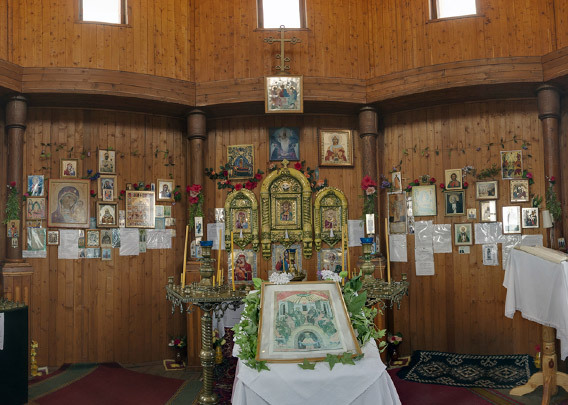 There is no permanent position for a priest in Barentsburg.